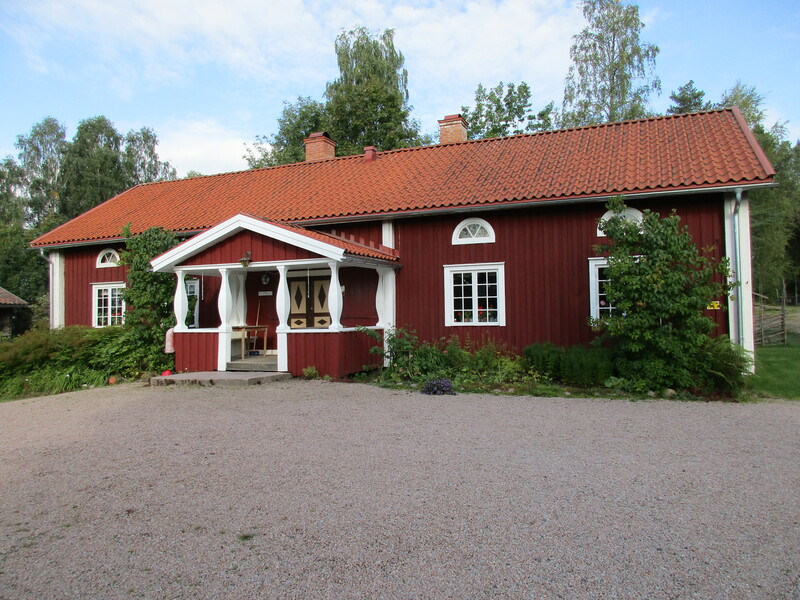 Storstugan, or the main farmhouse, was built around 1800 in Svenneby, south of Torsby. The homestead museum bought it in 1927 and moved it to Kollsberg. 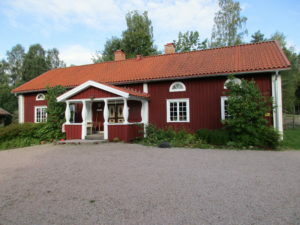 Today, the reception of the museum and the museum café are also located in this house. Storstugan has a traditional layout with two large rooms on both sides of the hall. The western room (to the left when you enter the house) was the daily room or kitchen. Much was done here. The residents slept, eated and worked in this room. Apart from cooking, women would be employed with spinning, carding and other ‘female’ jobs, while men would e.g. make wooden tools. This was the only room in the house that was kept warm during the winter. The children would usually sleep in the upper beds of the bunk beds, and the adults in the lower. Much of the furniture, such as cabinets and chairs, is locally (Fryksdalen) designed and produced. The eastern room was the elegant room. It was heated and used only on the occasion of major holidays and parties. Here, the walls are coated with clay and painted with patterns according to local tradition. The big, round fireplace is typical for the Fryksdalen area. The painting above the sofa is a work by local artist Paul Piltz who painted it for a farming exhibition in 1939. It shows the proportions between the different kinds of soil and culture in the region. The portraits on the eastern wall shows one of the former residents of the house, and the mother of the local poet Oscar Stiernes, Kristina Olsson. During the summer, the cabinets are decorated with freshly picked buttercups which, according to folklore, have certain positive magical powers. The painting near the door shows the old wood pulp factory of Torsby.